Originally titled “Real Men and Real Women,” The S.A.F.E.R. program was born in Fall 1996 and housed in Peer Health Education. On July 1st 1999, S.A.F.E.R. moved from the Health Center to the Women’s Center to increase collaboration with Women’s Programs and Services. On February 14th 2011, the Women’s Center changed its title to the Gender Equity Center and now housed Safer, Women’s Programs, and the new Men and Masculinity Programs. In the summer of 2011, Safer became a stand-alone program in Student Life and Leadership. The name was changed from the acronym Sexual Assault Free Environment Resource (S.A.F.E.R.) to Safer and became a part of the Dean of Students department. Safer now focuses on educating students on sexual assault, dating violence, domestic violence, stalking, and bystander intervention. Safer offers short term crisis counseling, advocacy, and accompaniments. The Red Handprint campaign was present on Cal Poly’s campus for many years. When a sexual assault was reported to Safer, a red handprint would be painted in that location on campus, with handprints appearing in front of buildings, dormitories and other gathering places on campus. This was to signify how pervasive this issue was and is on campus. While no red handprints can be found on the ground today at Cal Poly, a memorial can be found in the University Union next to the Sandwich Factory dining hall. Safer’s creation was sparked by the loss of three local young women to gender based violence. Smart disappeared from Cal Poly in front of the Redbrick dorms May 25th, 1996. Last seen at approximately 2:00 a.m. she was walking back to her dorm room from an off-campus party. Two students, Cheryl Anderson and Tim Davis were also leaving the party and decided to assist Kristen home and walked her part of the way until another student, Paul Flores, joined their group. Smart’s disappearance remains essentially an unsolved case and no firmly proven explanation for her disappearance exists. 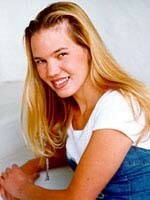 Her disappearance led to the Kristin Smart Campus Security Act, signed into law August 18th, 1998. The law requires all public colleges and other publicly-funded educational institutions to have their security services have agreements with local police departments about reporting cases involving or possibly involving violence against students, including missing students. 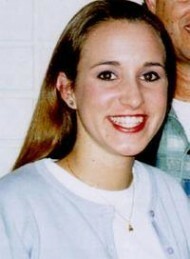 Rachel Newhouse was a 20 year old student from Irvine, CA. She was studying nutrition at Cal Poly. She was abducted November 18th, 1998 after being stalked by Rex Krebs on the way home from downtown San Luis Obispo at night, taken on the Jennifer Street Bridge. She was stalked and abducted by Rex Krebs from her duplex near downtown San Luis Obispo. 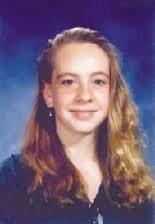 She was abducted March 12th, 1999.